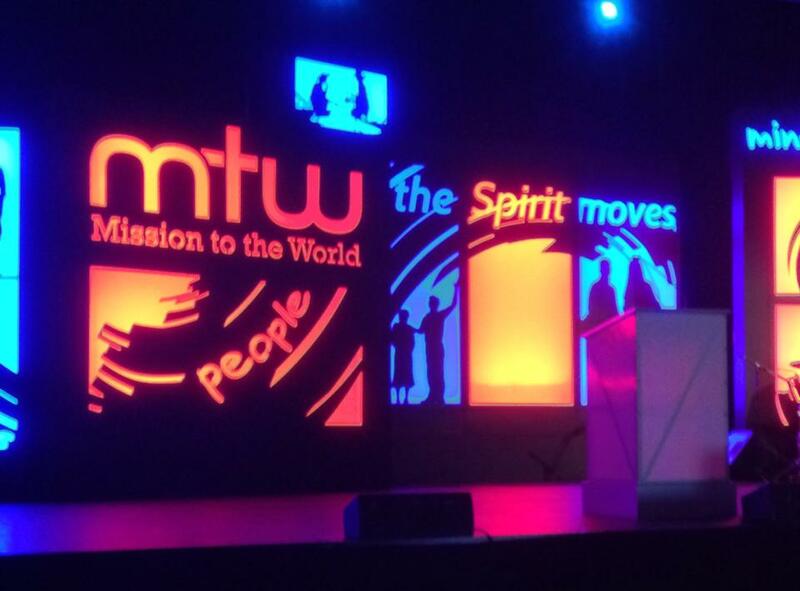 This weekend Dawn and I participated in Mission to the World’s (MTW) Global Missions Conference. The conference was called, The Spirit Moves. I love this title, because it’s a good reminder that we are dependent on God’s Spirit to see any fruit. It’s too easy to depend on our own efforts, but when we do so the work becomes hard. I pray as we move forward in ministry on the border that we will see the Spirit move in powerful ways! There were 2,500 at the conference. Thank the Lord for all the interest in God’s mission. 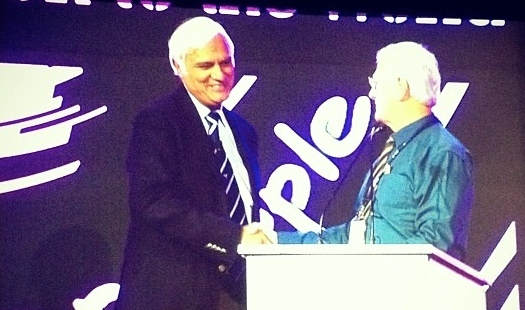 The conference began with a keynote from MTW’s coordinator, Dr. Paul Kooistra, and it ended with Dr. Ravi Zacharias. All of the speakers did a wonderful job of lifting our hearts, and inspiring us to look to Jesus in this great journey of mission that he has called us to join him on. 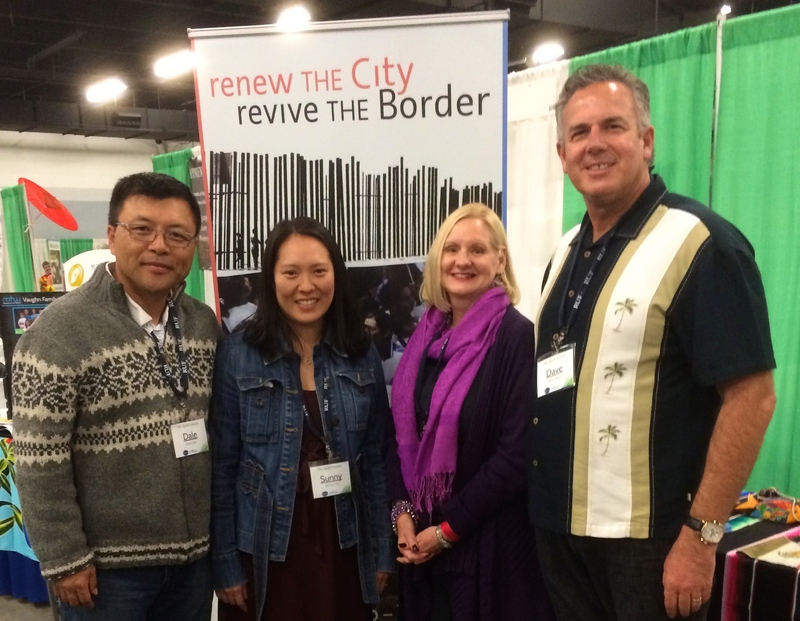 Dawn and I set up a booth to promote the ministry on the border. 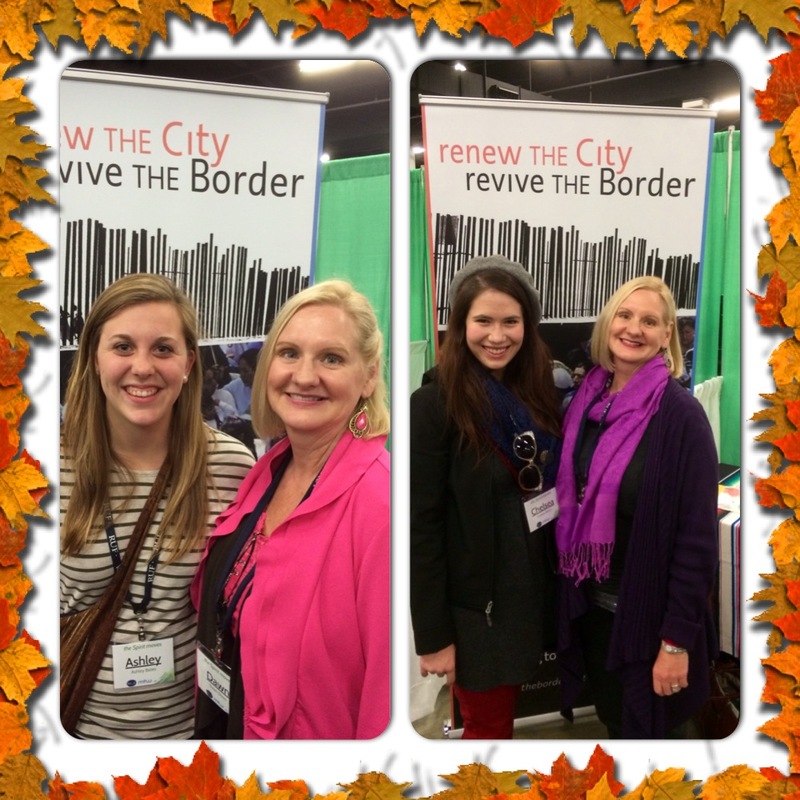 We enjoyed the opportunity to meet people, and share about how God is moving where we live and work. I found it invigorating to connect with friends that I work with, and to meet so many that are interested in missions. We continue to pray that the Lord will raise up men and women to work alongside us. MTW has set a prayer goal to see 150 people go to the mission field by 2015. Join us in praying for 150 by 2015. Click on this link to learn about ways you can get involved. Today Dawn and I are in Lookout Mountain, Georgia where we are participating in Covenant College‘s missions conference. 🙂 We are getting all of our conferences in. This gives us even more opportunities to interact with people and to sow the seeds of missions. In God’s good timing he will bring others. His Spirit has been moving and continues to go ahead of us and move people’s hearts. Thanks be to the Lord, the author and finisher of the work of missions. It is his work after all! I love the MTW graphics Dave….and speaking of graphics is that the sign behind you that you were working on a while back? I like that also…good job! :-))! yes that is the sign I was working on. I got a lot of input, and I have a talented friend who is graphic designer. I’m glad it turned out so well. Yes it looks cool :-))!